1. A tint that is moisturizing like a lip balm with a soft matte finish. A velvet-like textured tint that applies with a matte finish and keep the inner lips moisturized and smooth on the outside. 3. Natural-looking color. Various colors ranging from orange to red that instantly makes your lips look vibrant with a light finish in a single sweep. Packaging: I quite like this new packaging style, it’s better than the one they had for the matte lip crayon. However, I have to say that it takes really long to click that button at the end for the product to come out when you first use it. It’s definitely a true test of your patience. The good thing is that subsequently, it gets easier: one or two clicks will be sufficient for the product to appear on the sponge. I know it’s called ‘coral’, but I think it leans closer to a terracotta/brown-red shade. It’s super suitable for fall. In fact, it is a colour that will probably stay in trend for very long because these shades are so flattering, especially for Asian skin tones. I feel like I’ve weaned off my pinks & reds, so now all my new lippies sport a similar shade, but you can never have enough of your favourite colour, right? 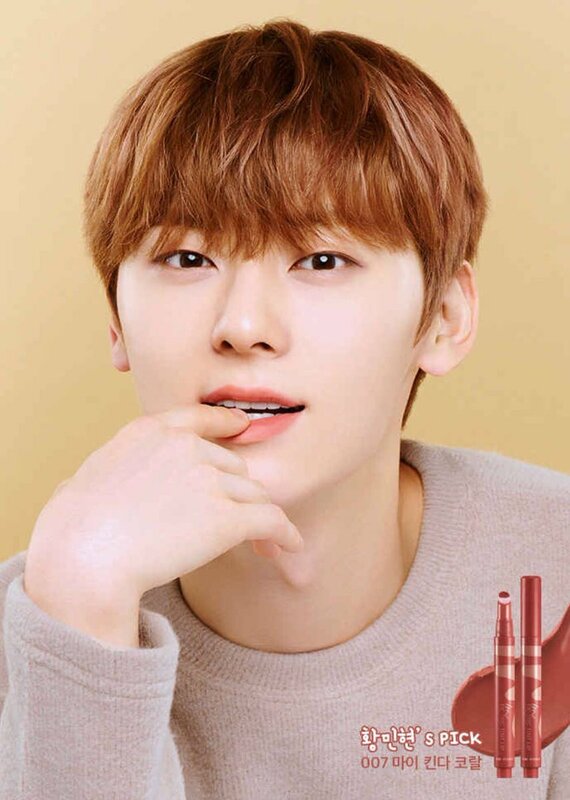 I do think that this colour is also very similar to that of THEFACESHOP’s finger cotton tint‘s Brown-presso, but a tad more brown. Colour payoff & intensity: I like how it’s not too intense a colour – make it sheer on the outer parts of the lip, and apply a few more layers on the inside to easily create a gradient lip look. You can also just apply a thin layer to get a natural-looking colour, or swipe a few more times for a full look. Either way, it will still look great! Staying power: Based on experience, it does stay put through a meal, but don’t expect a full-blown colour. There will just be hints of colour, but enough to make your lips look great. Also props to the comfortable formula: I expected this to be quite drying and uncomfortable after a while because it dries down to a matte finish, but it was so lightweight that I didn’t feel like I was even wearing lipstick at all! I’m definitely giving this brand another go, now that this lip tint has changed my opinion. The colour range is very good (all them MLBB shades! ), so I’m definitely going to put the other shades on my shopping list. The only problem is that these can be rather pricey in Singapore. I know, it’s less than SGD20 (standard price for many lip products these days), but it cost me less when I bought it in Seoul. Ah well, it’s just a price benchmark that you can ignore if you really want to try this out, and I highly encourage that you do, because a good lippie is worth it!